Infographics indeed was trending since 2012, but we had low quality infographics back in the past. Those bad infographics have died out now thankfully, simply because they had zero ROI. Aside knowing that infographics are trending. It is crucial to understand why it is trending. Is it because it just looks good? No, definitely not just because it looks good. But it probably showed results in engagements, drive traffic, and generated leads for businesses. Let's dig a little deeper. Do we have a shorter time span of a person's attention now, or do we have lesser attention span? If you have more attention time span, that's great for you, but we all currently have a shorter attention span compared to a gold fish. Instead of writing a blog post about something you're trying to communicate, or statistics that you're trying to communicate and present, with the help of infographics, people understand what you're trying to communicate 60,000 times faster. In fact, i was trying to read up on when infographics started, and it is interesting to note that it started during the caveman days! Here's an interesting article to read about the history of infographics. 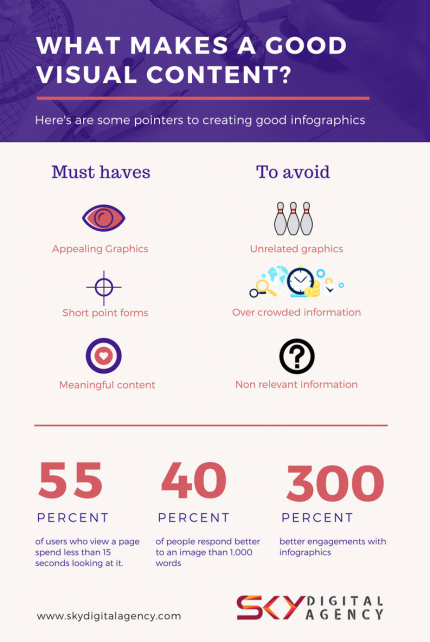 If you would like to attain a skill that is going to add to your resume having the ability to design an infographic by the end of the workshop. Do join us for our Infographics & Visual Content Marketing workshop. The workshop is Skills Future Approved and Claimable.. Sign up with your Skills Future Credits, no cash required. * This course is eligible for 40% PIC claim, applicable to eligible companies. Full course description can be found after the infographics. • Learn how to infographics can be used on website and social media platforms to ENGAGE YOUR AUDIENCE and DRIVE SALES! 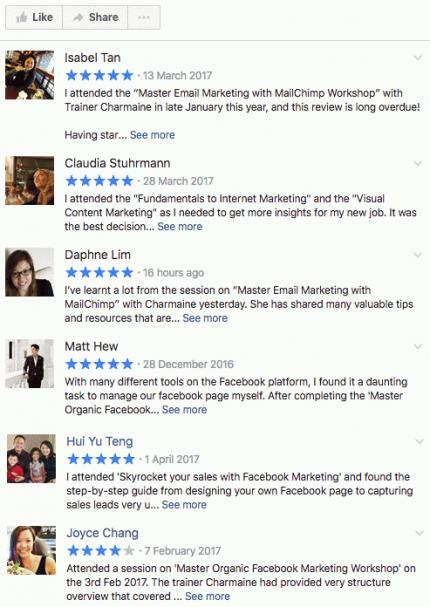 • Apply the skills to any marketing collaterals, to start design great visual collaterals, as what our participants like to call a "cheat sheet". • What is Visual Content? • Why is Visual Content Marketing important?